The artist’s interest in water and the sea inspired the works on paper and the sculptures in this gallery installation. 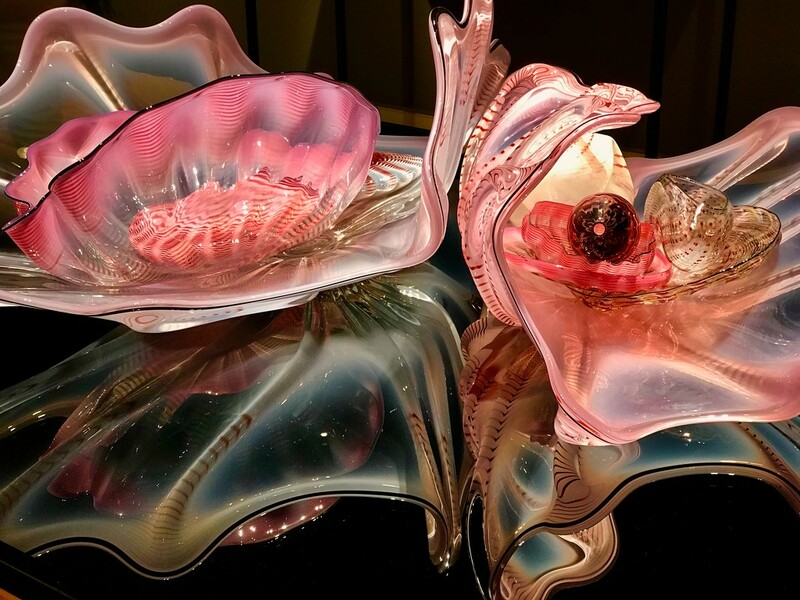 This inspiration combined with Chihuly’s unique ability to shape molten glass creates a series of works that evoke seashells and other underwater creatures. This is so pretty, can definitely see the sea influence! Wonderful colours, light and reflections. Thank you! I enjoy Dale Chihuly’s glass artwork. It was one reason why I wanted to go to Catalina Island. The table reflections added to the beauty. I ❤️ Chihuly!! Very pretty shades of pink on these.